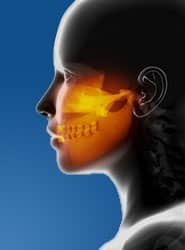 Orthognathic (Jaw) surgery is performed by Oral and Maxillofacial Surgeons to correct a wide range of minor and major skeletal and dental irregularities, including the misalignment of jaws and teeth, which, in turn, can improve chewing, speaking and breathing. Orthognathic surgery not only improves facial appearance, but also ensures that teeth meet correctly, and the Temporomandibular joints function properly. Orthognathic surgery is often used in conjunction with Orthodontics before and/or after surgery to correct bite problems when repositioning the jaw is necessary, and Orthodontics alone is insufficient. If you are a candidate for corrective jaw surgery, Dr. Clausen works closely with your surgeon during your treatment and will perform the Orthodontic portion of the treatment. Orthognathic (Jaw) surgery is performed in a hospital and requires an overnight stay. Bone grafting is a common surgical procedure to rebuild jawbone for dental implants in patients who have lost teeth and the jawbone that had supported those teeth has atrophied. When teeth are lost and not replaced, the body will reabsorb the bone that was used to support the missing teeth. In time, after there is no longer enough jawbone to properly support a dental implant, bone grafting may become necessary. Orthognathic surgery is generally performed to correct functional problems. It is also used to correct facial aesthetics when malformation has an adverse affect on a patient's appearance and jaw surgery may dramatically improve the appearance. Initial healing takes about six weeks, complete healing of the jaw takes between nine and 12 months.